This airbrush is a popular choice for beginners. 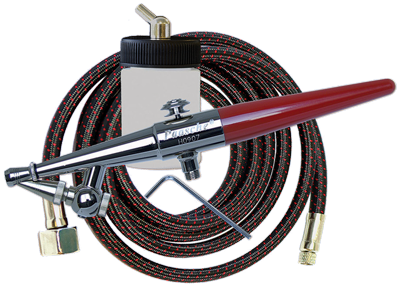 Sturdy and flexible, the H airbrush is dependable and adaptable for many hobby uses. The H#3 is suitable for medium fluid. You may change the size of the H#3 airbrush to size 1 for light fluid or size 5 for heavy fluid by purchasing different size Aircap and Colour Adjusting Part. All sizes are available together in the H-SET. Comes with F-186 wrench and 6' braided hose. 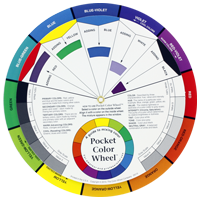 Size 3 Colour Adjusting Part for H.